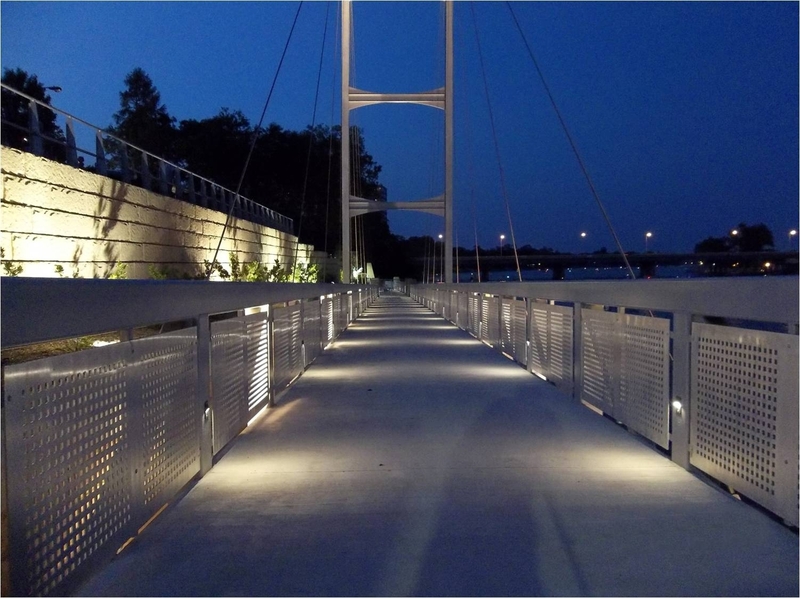 The Illinois Department of Transportation provided the community with additional pedestrian access to entertainment and beautiful natural resources while also promoting economic development with its Rockford Riverwalk Project. The $5.44 million project constructed 2,200 feet of a 10-foot-wide multi-use concrete pathway, two bridges, an open air amphitheater, and six overlook stations on the west bank of the Rock River, connecting the Riverfront Museum Partners Campus with the Burpee Natural History Museum. IDOT worked with several community partners to complete the project, which included an 80-foot-high, 236 foot-long cable-stayed pedestrian bridge for visitors to enjoy the views along the river.